Orsanmichele means orto di San Michele (vegetable garden of St Michael), it’s the name of the area since the early Middle Ages, 6th and 7th century. An ancient wheat market was built in tha area of Orsanmichele since the 1220s; the Comune di Firenze ordered that a loggia covering the market be built in 1284. 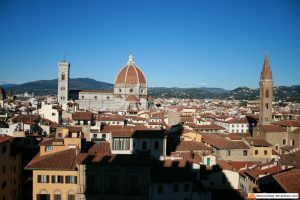 The architect was Arnolfo di Cambio, famous for designing the Duomo, Santa Croce and Palazzo Vecchio. 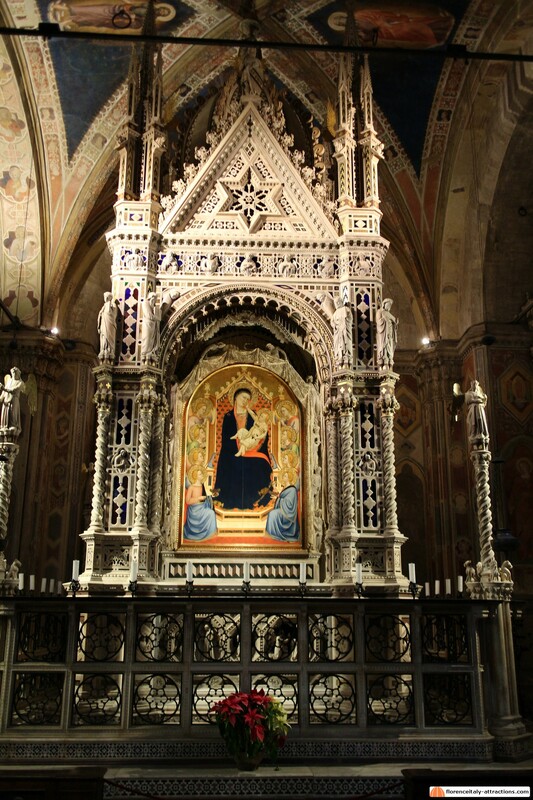 Around the 1290s, a fresco of the Virgin Mary was added to one of the pillars, and this fresco attracted a lot of devoted believers; a brotherhood of laymen sung lauds to the Virgin, and soon enough miracles happened that were assigned to the “Madonna of the wheat”. 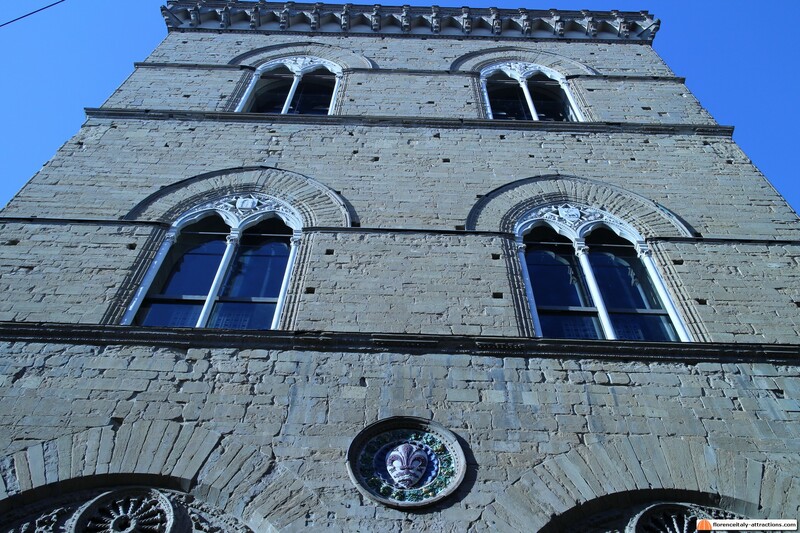 After the loggia was destroyed by fire in 1304, The Republic assigned to the silk workers Guild to superintend the reconstruction, which started in 1337; the other guilds and the Guelph party were included, since this was a very important place for Florence, both religious and practical. 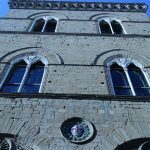 The building of Orsanmichele, as we see it today, looks more like a granary (what it actually was) than a church and is one of the minor attractions of Florence. 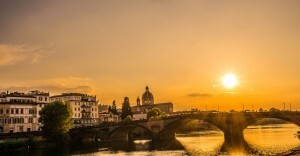 In 1348, the plague spread all over Europe and hit Florence, one of the largest cities in the continent at that time. It was a disaster, as the disease killed between one third and half the population. Regarded as a punishment by God, when the epidemic was over the city was very active in sponsoring new artwork in order to thank God. One of these works is inside Orsanmichele. 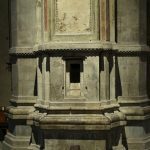 It’s a magnificent gothic tabernacle in white marble, created by Andrea Orcagna in the 1370s, which contains an altarpiece with Madonna and Child by Bernardo Daddi. Probably this work of art determined the change of function of the building. Such a beautiful work attracted again many believers, and the religious function took over the economic function. 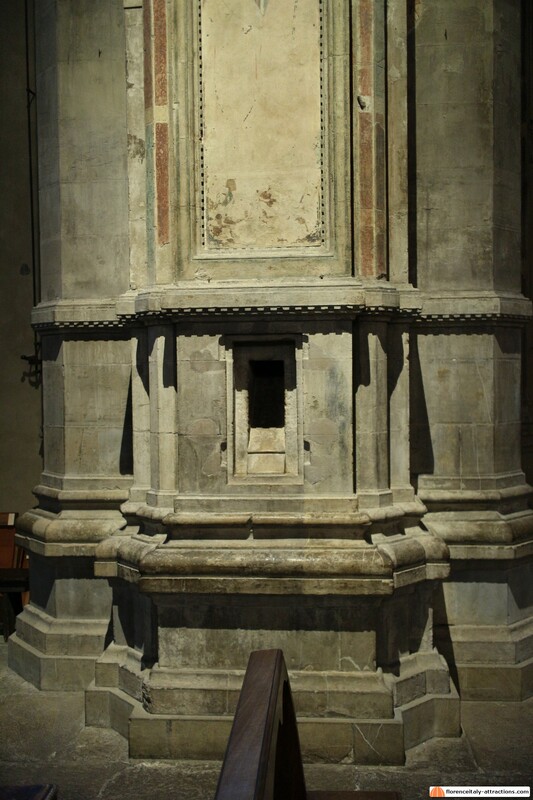 Orsanmichele became a church, but remains of the ancient function are still visible to the observer. A hole in one of the pillars was where wheat poured out after coming down from the second floor (see picture), and on top of a door, immediately after entering on the left, you can notice a strange bas-relief. It represents a bucket, and it was the unit of measurement of wheat. The Republic of Florence, also to remember the original function of this place, ordered the Guilds to decorate the facades with statues, representing their patron saints. The work started in the late 14th century and went on for some decades; it’s a series of works by various artists where you can see the evolution of sculpture in an age of transition from the Gothic style to the Renaissance. Artists like Donatello, Lorenzo Ghiberti, and later Verrocchio and Giambologna were hired to create the statues. 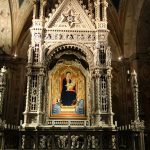 Today, all the statues have been replaced by copies, while the original ones are visible in the Orsanmichele Museum, open only on Mondays, while the church is generally open except for Sunday morning, when it hosts the Holy Mass. Both the church and the Museum are free attractions.